Energetic and passionate people-person with a strong drive to do only the very best. Excellent interpersonal relationship and personality skills. Always cheery, and learn quickly. Rake, mulch, and compost leaves..
Return unwanted items to their correct locations on shelves. Kenai Central High School Kenai, AK Upcoming Junior. Maintained a 4.0 GPA during both semesters of my Freshman year. Maintained a 4.0 GPA my first semester of my Sophomore year. Volunteer piano accompanist. Greatly involved in Choir, Drama, and Piano. 16 years old, will turn 17 in October. 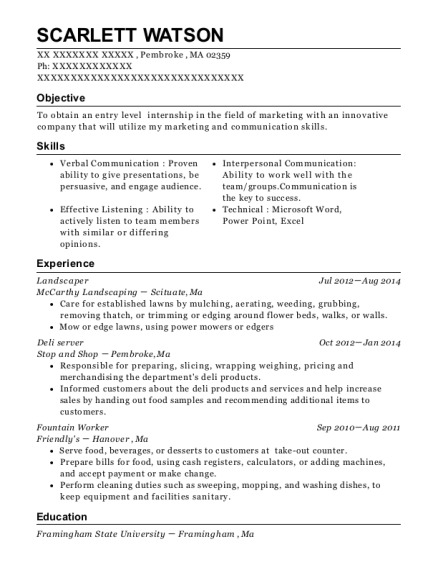 Would be ready to start working at any time. Schedule is open. 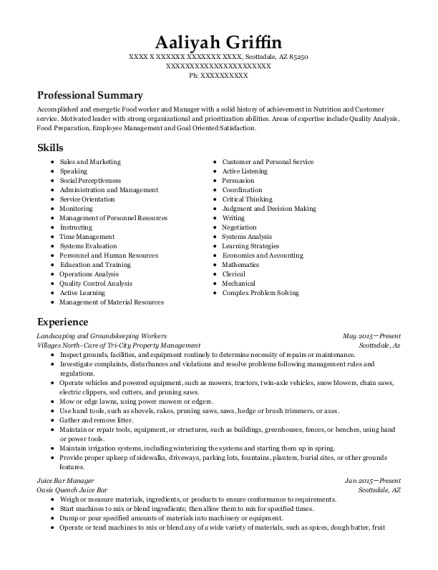 This is a resume for a Landscaper in Kenai, Alaska with experience working for such companies as Suzanne Phillips and Safeway. 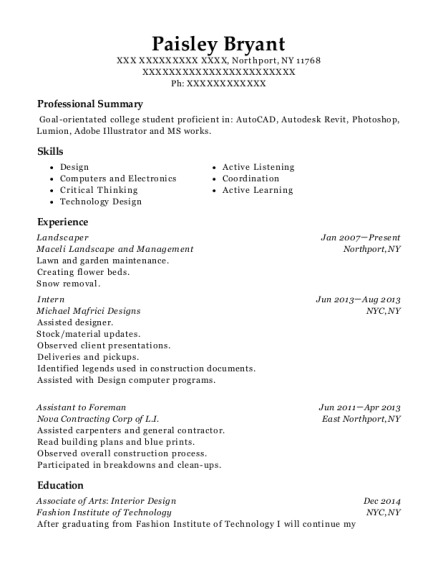 The grade for this resume is 0 and is one of hundreds of Landscaper resumes available on our site for free. 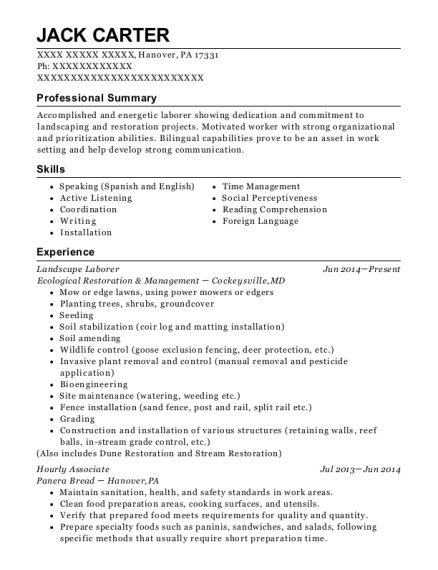 Use these resumes as templates to get help creating the best Landscaper resume.